Finally, I have completed A-Z successfully and it was exciting, crazy, tiring and much more. However it was also a rich learning experience. A-Z is a month long blogging challenge that is held worldwide. This year it was done in India, in collaboration with Blogchatter. You can read more about my experience last year here. I thought I was better prepared this year, but once the challenge started I realized I have a long way to go in terms of better planning. 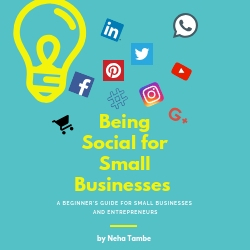 While I didn’t scramble to write posts like last year, it was still tough at times, especially since this year I was trying to write detailed posts about a business topic like digital marketing. I learnt that I need to be better prepared in terms of writing, if I wish to write detailed posts. Writing posts, creating images, reading and sharing etc. becomes too hectic otherwise. I had finalized my theme and decided what I wanted to write for each letter, hence that took out the vagueness from the theme and I could manage a decent flow to the topic. My reading did take a hit, which I should improve. I had a plan, but then life happened and the plan went out of the window. It was draining to the point that at times I just didn’t feel like writing another word. I felt I had written everything and then at times I would be confused about how and where to start explaining. I met a lot of interesting people; people who are passionate about blogging. They are working full time and still managing to write one post a day. This motivated me to improve my game and I will do that. These people were inspiring, motivating one another and even sharing ideas. It was fantastic energy, a positive energy that pushed each of us to do better. 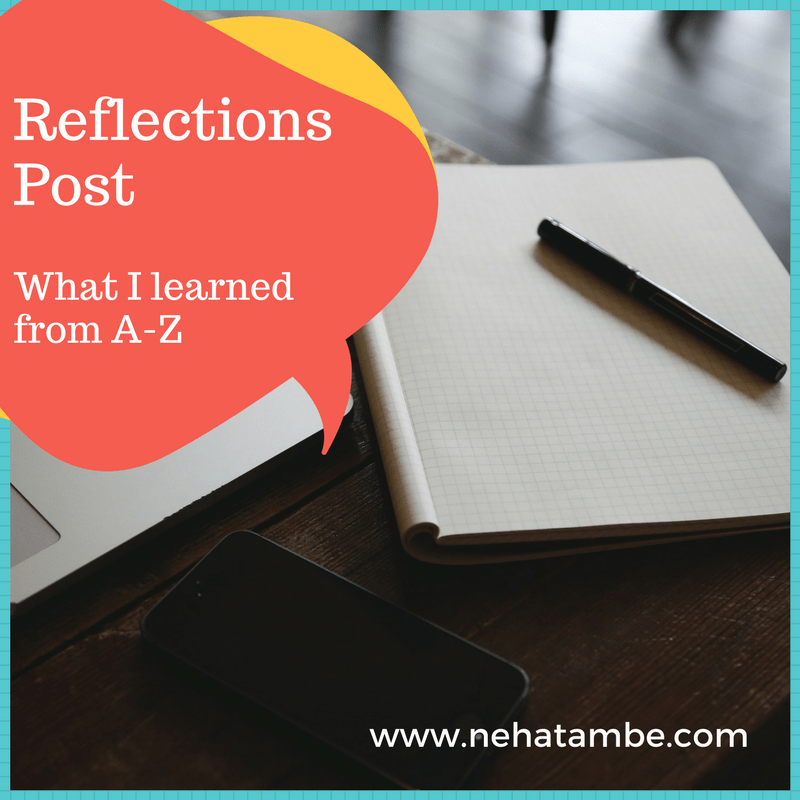 I also learnt a lot about writing in general, because of the posts shared by Blogchatter. Author’s perspective, various steps involved in terms of writing a book and the whole process for various genres was a revelation. The secret activity made me realize that blogchatter keeps your personal goals to the forefront and the activities were all about encouraging someone and motivating others. At the end of the challenge, I know where I lack. I know where I need to up my game. It will help me draw up a clear plan that will help push me to better blogging! It also helped me realize that I should stop self-doubt and be prepared to run my blog and digital marketing consultation as a business. Enough of what-if, it’s time to implement and focus! I also plan to do such a reflection post at the start of every month to understand where I am and where I need to go. It was my first A to Z, and I am feeling so happy that finally I completed the challenge. Like you also, I thought I could complete all by March which obviously didnt happen. Then I was trying to keep 2 days in hand but finally ended up on 1st May (blogchatter deadline)! I went to my office 1hr early and wrote my posts. Reading, writing and learning – the most remarkable experience of life.